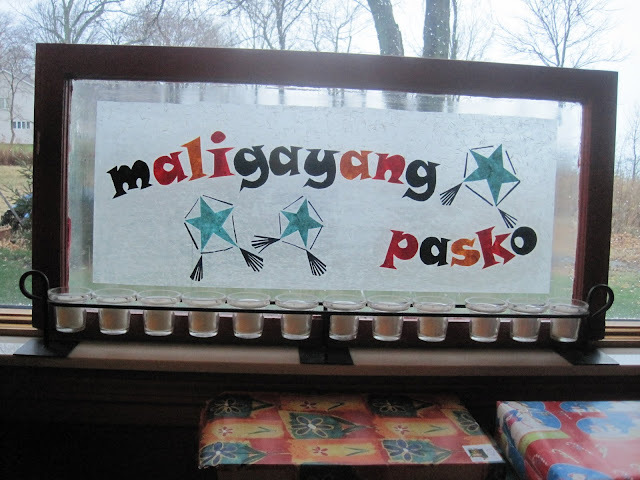 colourful days by anna bennett: Maligayang Pasko! I came up with some last minute holiday ideas last week and crammed all three steps of this project in one night. I loved the finished project soooo much I made another one (a little different but just fun and happy). Where has my diningroom table disappeared to?